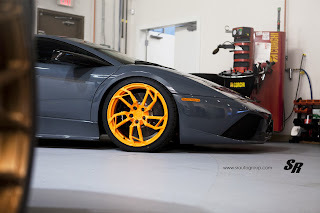 Even though the Lamborghini Aventador has been stealing the show for quite a few years, it seems that the Murciélago made to our front page again. 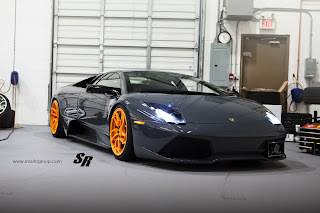 First, under the form of a V12 powered Fiat 500 and now under the form of a stunning creation from SR Auto Group. If you own a Lamborghini Murciélago with a 640 Hp V12, why wouldn't you give it some love by fitting a set of PUR Aero wheels? 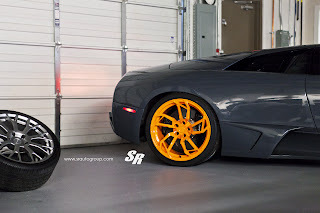 That's what this Murciélago owner did. The wheels in question are PUR's RS05 measuring 19 inches front and 20 inches rear. 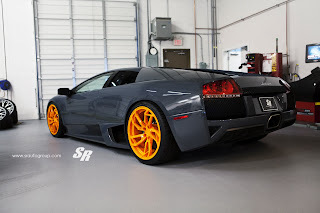 But what really makes this ride stand out is definitely the Arancio Borealis finish of the wheels. It's a winner if you ask us! More pictures in the gallery below.